While we have no idea when we’ll see the next James Bond movie, or who will be playing the part when we do, the one thing that we know for sure is that there will be another James Bond movie. So where will the next chapter in the life of the immortal super spy take us? While the filmmakers are only in the early stages of crafting the story, it appears that you can guess the plot if you can answer one question correctly: "What are you afraid of?" Besides spiders, we mean. Bond producer Gregg Wilson was on hand in London for an auction of props and memorabilia that was part of Spectre, Daniel Craig’s latest, and perhaps last, outing as James Bond. As part of that, Scandinavian site Filmweb asked Wilson about the next chapter in the franchise. We’ve just begun to doodle with ideas for the next movie. Each script process begins when we ask ourselves the question ‘What is the world afraid of now?’ In the case of Spectre, the theme was global monitoring and utilization of information. So now we are trying to find out what will be relevant in the coming years. It’s a very broad question, and one that could have a very different answer a year from now than it does today. But it’s as good a place to start as any. When the James Bond movies got refreshed a few years ago, when Daniel Craig was cast in the role, we began to see a more down to earth version of the character. While the recent films have had no shortage of supervillains, their aims have at least been connected to real fears in the world. As Gregg Wilson says, Spectre dealt with monitoring and surveillance -- major issues that the world faces, and that the UK faces even more than other parts of the world. Prior to that, we saw a terrorist bombing of a prominent building in Skyfall. 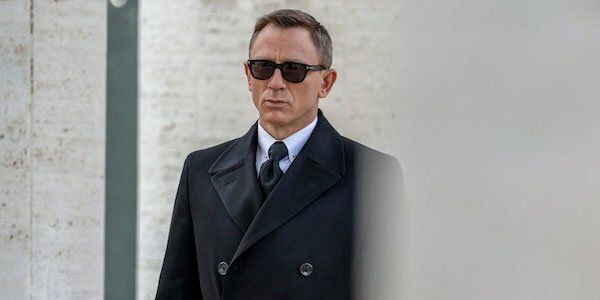 If the filmmakers are going to work with the same thought process that has led them for the last few James Bond films, we can extrapolate from the statement that even if Daniel Craig does not return for another go, a situation that is appearing more and more likely, the next movie will still be more like Craig’s style of Bond than it will be a return to the more fantastic version of the character made popular by Bonds like Pierce Brosnan and Roger Moore. What topic do you think the next James Bond film should cover? Increased religious extremism? Potential nuclear proliferation in Asia? Reality TV personalities being elected leaders of allied nations? That last one sounds truly terrifying, even for Bond.